Carry brilliance and complete transactions in a small portable, handheld device. Carry brilliance and complete transactions in a small portable, handheld device: the VX 680. Ideal for merchants both on the move or in hospitality environments, the VX 680 can handle fast transactions in any location - bars, restaurants, in-store or outdoors. 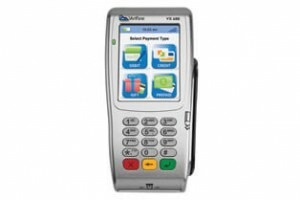 The VX 680 is a powerful handheld Chip and PIN machine with GPRS connectivity.